Should you have to disclose your dashcam? Mechanics beware, but there have been several incidents over recent years of staff from garages being caught speeding. And not by a safety camera but by the dashcam in the car they were inspecting. One of the most recent resulted in an apology from Vertu Motors to a customer whose Nissan Juke was recorded driving through Darlington at 54mph in a 40mph zone. Apart from the obvious legal implications of this, the Nissan’s owner expressed some concern as he wants to become a police officer and this could have seriously scuppered his plans. Yet there are other issues we should be considering that surround the issue of dashcams. The huge increase in popularity of these devices is in no small part due to the easy access we now all have to social media sharing platforms. It’s quick and simple to upload footage of someone driving badly for others to comment on or post a video of a road rage incident. Who can forget the inimitable Ronnie Pickering? Oh, you already have. Well, that’s his 15 seconds of fame blown. Another reason so many of us now use a dashcam is for insurance purposes. It’s not that we want to be involved in a collision, but it sure makes it a lot easier to apportion responsibility when the little silent witness on the windscreen can show the whole story. Of course, that cuts both ways and drivers may be tempted to delete anything that shows them in a less than favourable light. However, those who fit dashcams tend to be more careful in the first place and further aware when a camera is mounted in the cabin. 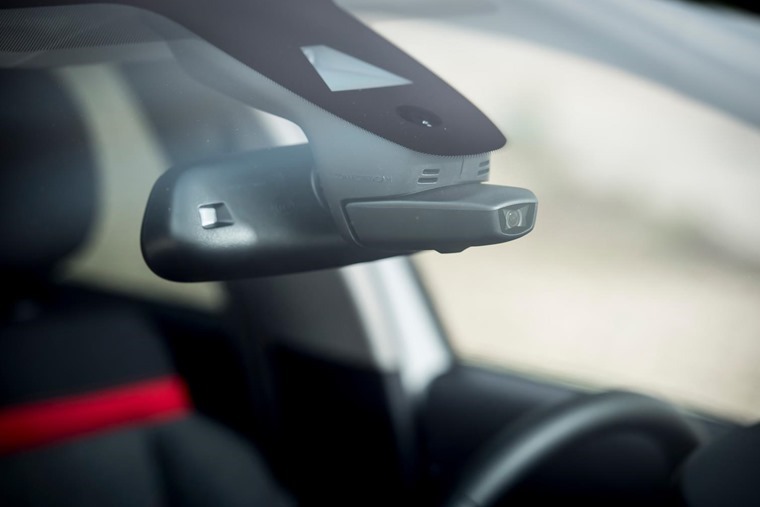 A lot of drivers leave the camera in the car when they lock up or leave it with a garage, which opens up some other areas that need to be addressed with dashcams. After all, they are recording devices and there are laws governing what can be filmed. Mostly this is to do with consent, so you could argue that you should disclose to a garage that your car is fitted with a dashcam when you drop it off for a service. But then on the flipside, there should also be a level of trust with the garage staff that they won’t do this type of thing in the first place. Would that garage employee in Darlington have been so quick if that individual was aware there was a film being recorded of their indiscretion? Probably not. And just as pertinently, might they have declined to drive the car and chosen to preserve their privacy? Would we be more drawn to buying a car if it came with an in-built dashcam? It’s perfectly legal to film anyone in a public place in the UK, so dashcams contravene no laws. Also, so long as the camera doesn’t invade someone’s privacy or obstruct the driver’s view, the police will take no interest. The real outcome of this situation is it will most likely encourage more drivers to fit dashcams to prevent such incidents and also to protect themselves should a speeding fine drop through the letter box. Another question we should be asking ourselves is would we be more drawn to a car if it came with an in-built dashcam? So far, Citroen is the only company to offer this to UK drivers with its C3’s ConnectedCam system. It’s being marketed more as a social media tool to snap and share pictures, but it also has a record function that can store video as evidence of a collision. 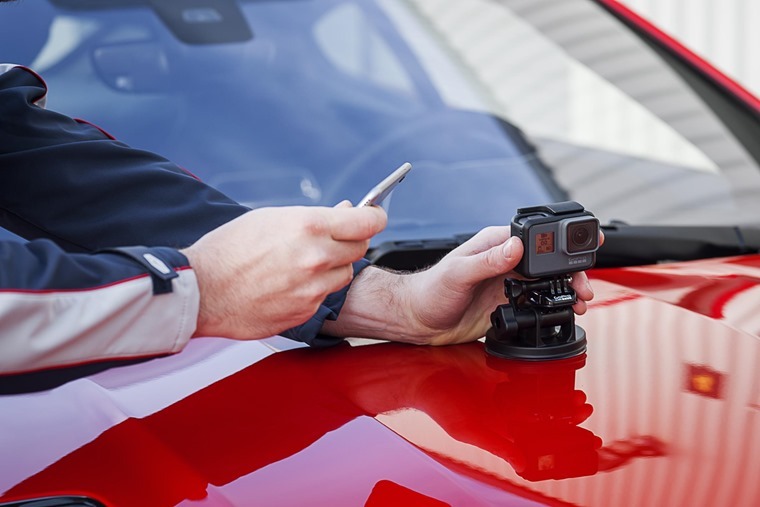 Jaguar is the only other company offering anything like this with its partnership with GoPro for the facelifted F-type. However, this is aimed much more at the vanity of its owner as the camera has to be mounted separately to the front of the car and records data such as speed, throttle position, gear and G-force. Essentially, Jag has simply integrated into the F-type’s infotainment what many keen drivers already use. This last point is where the same engineer acknowledged there is some customer resistance. The idea of being ‘spied’ on or having every minor motoring infringement logged concerns buyers who think they will be slapped with a fine after being snitched on by their own car. Yet Citroen doesn’t see this as a problem with ConnectedCam, perhaps because the driver has to initiate the recording rather than it being in use permanently. Only in a collision does it operate automatically to film 90 seconds’ worth of footage. While the French firm has blazed this trail, there are already others within the auto industry who think the idea is old hat. 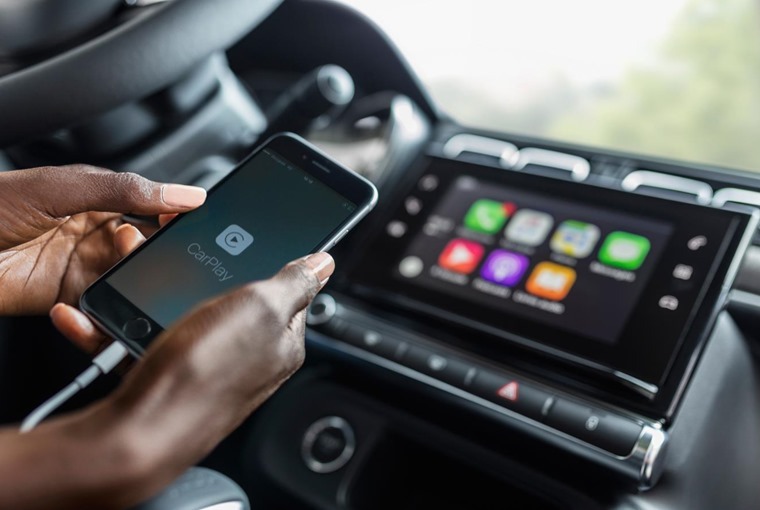 Just as standalone sat-navs are becoming a thing of the past thanks to smartphones with navigation apps, dashcams could well be overtaken by phones with dedicated application to record driving. There are already several such apps on the market. They largely depend on the quality of your phone’s camera and ability to cope with differing light conditions. However, they are a simple way to have a dashcam and the only other expense is a windscreen mount to position the phone properly. 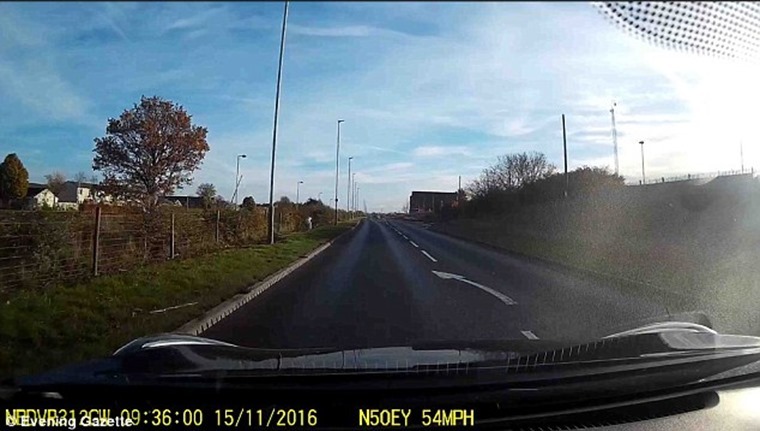 One point to remember with a phone-based dashcam is you’re not likely to leave your expensive mobile in the car when you’re not there. This means you could still be at the mercy of a garage employee speeding in the vehicle when it’s in their care. 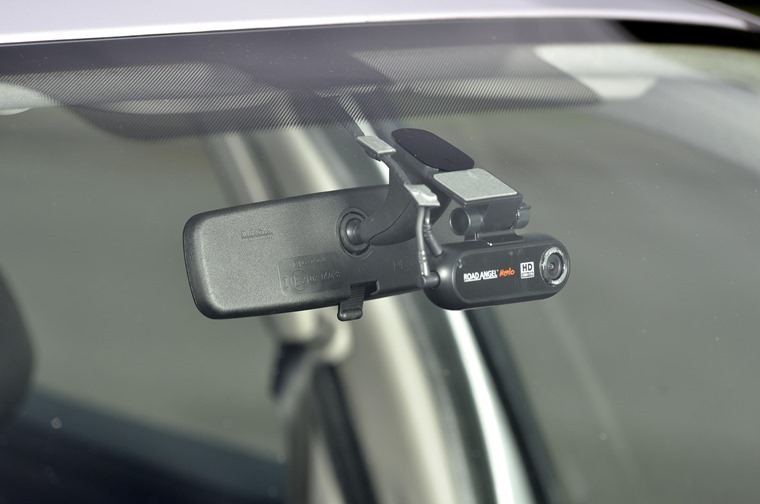 What’s not in doubt is dashcams are now an established part of the automotive market. Whether you opt for a separate camera, mobile phone app or a car with a factory-fitted item, the chances of being filmed from a car are increasing every day.